Steve’s breakdown: Bacardi has shaken things up over at the family business. If you’re in the biz of booze you might want to look into the situation. HAMILTON, Bermuda: Bacardi Limited, the largest privately held spirits company in the world, announces 20-year Bacardi veteran Mahesh Madhavan takes over the chief executive leadership role effective immediately. As announced in March, Madhavan succeeds Michael J. Dolan, who has retired as chief executive officer (CEO), a role he held since 2014. Madhavan will be based in the company’s global headquarters in Bermuda. “With more than 20 years at Bacardi, in different roles in different geographies, Mahesh has a tremendous track record of success. He inherits a business that is in great shape, with a healthy balance sheet, revitalized brands, and an engaged team of employees. Mike and Mahesh have worked closely to carry out the succession smoothly, and the Board is delighted with the progress they achieved,” says Facundo L. Bacardi, Chairman of family-owned Bacardi Limited. In his career with Bacardi, Madhavan has led the company’s Europe, Asia, Middle East & Africa operations where he was charged with building stronger connections between the iconic brands in the Bacardi portfolio and consumers in those regions. Also during his tenure, Madhavan has held leading roles in various fast-growing emerging markets including Managing Director of India, Managing Director for Thailand and the Philippines, and Managing Director of South Asia and Southeast Asia. He has also led the company’s Emerging Market Council. As part of this leadership succession plan, Madhavan announces the internal appointments of two senior leaders. Effective immediately, John Burke, 51, assumes responsibility for leading all marketing efforts as Global Chief Marketing Officer (CMO) of Bacardi and President of Bacardi Global Brands Limited, while Ignacio del Valle, 47, leads commercial operations for the Latin America & Caribbean region as its Regional President. Burke and del Valle serve as members of the Bacardi Global Leadership Team and report directly to Madhavan. John Burke has spent more than two decades in various leadership roles within Bacardi. Burke will provide leadership and strategic direction for Bacardi’s global marketing organization, which had been led by Dolan in recent years. He will be based between the Bacardi global headquarters in Bermuda, subject to Bermuda immigration approval, and Bacardi Global Brands Limited’s London office. 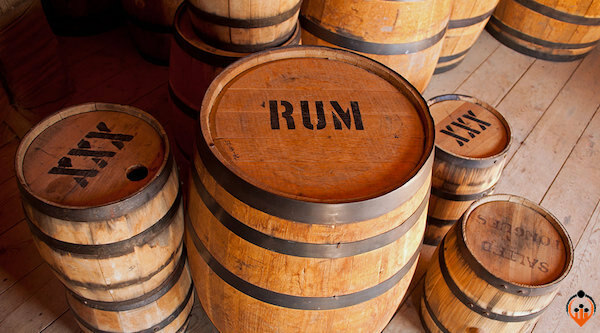 Burke has achieved notable success during a more than 24-year career at Bacardi. He has had diverse experience working in country operations, regional and global sales and marketing, including as the lead for core brands in the Bacardi portfolio including BACARDÍ®, BOMBAY SAPPHIRE®, MARTNI®, and DEWAR’S®, and most recently as president of Incubation Brands charged with building brand equity in the fastest-growing premium brands in the portfolio including ANGEL’S ENVY®, ST-GERMAIN®, BANKS®, SANTA TERESA®, and LEBLON®. Ignacio del Valle has been promoted to Regional President – Latin America & Caribbean. Del Valle is responsible for leading commercial operations in the region for the company’s portfolio of premium spirits. A 21-year veteran of Bacardi, del Valle understands the region extremely well, having spent his entire career at Bacardi working in Latin America & Caribbean across different markets and functions. During his tenure, he has developed a deep understanding of the industry and route-to-market models, while building strong relationships with key distributors. For more than 15 years he has served on the regional leadership team in commercial and production roles including country manager for Central America and managing director for South America. He most recently led the Caribbean, Central America, and the Andean countries of Colombia, Ecuador, and Venezuela. Del Valle will remain based in Panama. Del Valle succeeds Constantino Spas who has decided to pursue opportunities outside of the company. The company thanks Spas, a true connoisseur of the drinks business, for his leadership at Bacardi driving commercial ventures and a new focus on digital innovation in the region. “These internal appointments showcase our deep bench of seasoned talent and leadership within Bacardi and further demonstrates the company’s dedication to nurturing and growing our talented leaders,” adds Madhavan.